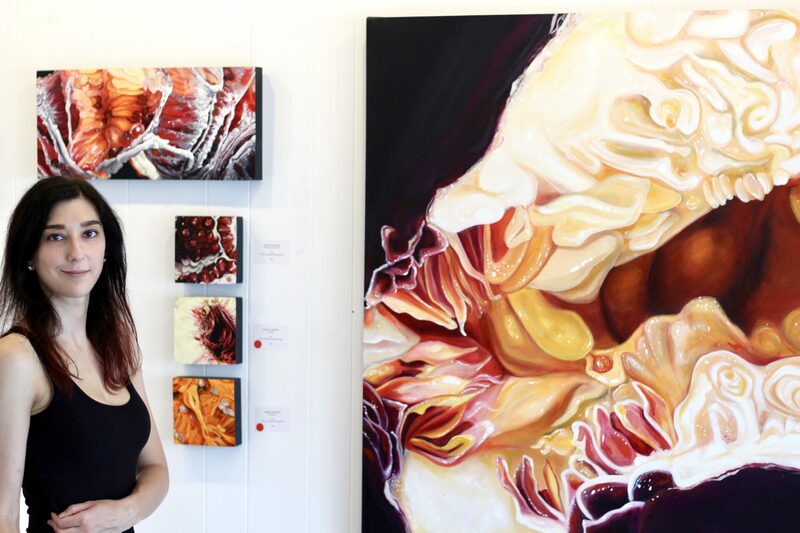 The exhibition opened June 1, 2018, for Marietta’s First Friday Artwalk. The Meet the Artist event was held the following Friday, June 8th. The reception for my RIPE art exhibition was fantastic! I’m so thankful to everyone who came out to gallery43.2 & everyone who was there in spirit. Your support is incredible — and so is my gallery’s, gallery43! I can’t thank them enough for putting together such a beautiful show and receptions. Another big thank you goes to my new collectors. I’m relieved my artwork is finding great new homes! Thank you! 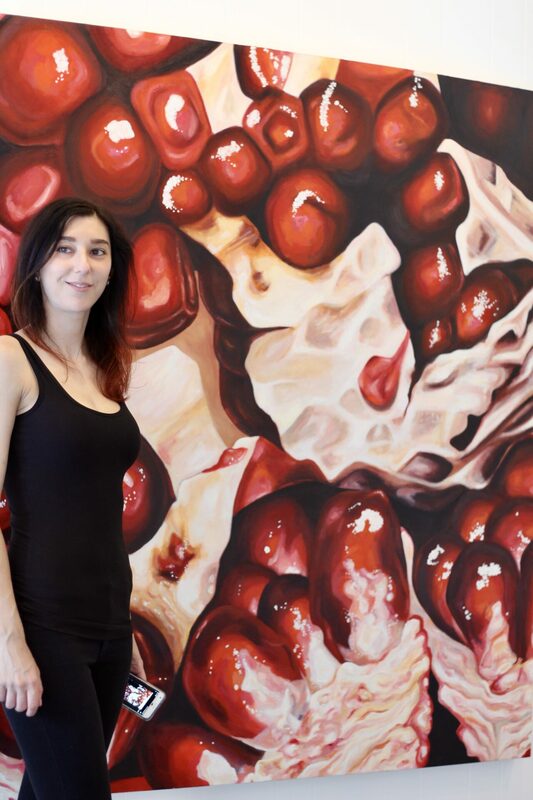 Angela Faustina at her RIPE solo art exhibition at gallery43.2 in Marietta, Georgia, USA.